Tyrone Hayes, professor of Integrative Biology at the University of California, Berkeley, will be on the SUNY New Paltz campus to present a seminar on environmental endocrine disruption. 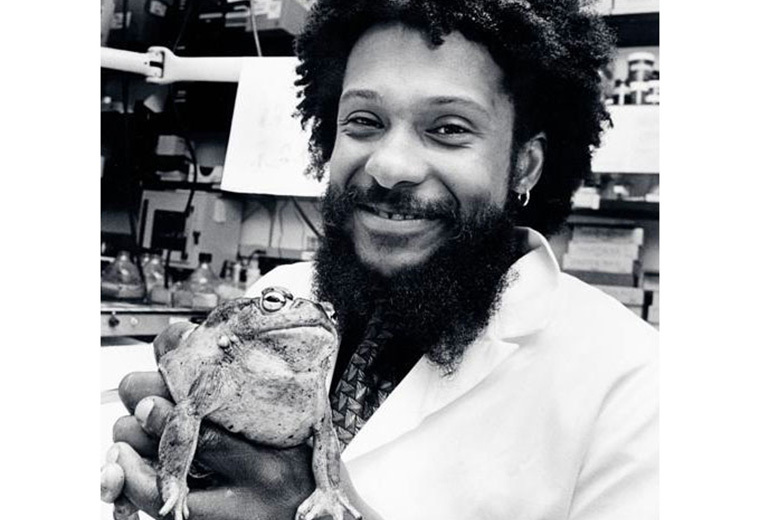 Dr. Hayes is very well-known in the fields of endocrinology and ecotoxicology for his work on the effects of the herbicide atrazine on amphibian populations. Hayes’ talk, titled “From Silent Spring to Silent Night: A Tale of Toads and Men,” will take place on Wednesday, March 9, at 7 p.m. in Lecture Center 100. Hayes’ research and advocacy regarding the endocrine effects of atrazine have brought nationwide attention to the issues surrounding environmental endocrine disruptors, fresh water ecosystems and human water supplies. In addition to publishing widely in peer reviewed scientific journals such as Nature and PNAS (Proceedings of the National Academy of Sciences), Hayes has garnered a great deal of public attention with numerous articles about him and his work in publications such as The New York Times, The New Yorker, Forbes, Mother Jones and The Chronicle of Higher Education, among others. Professor Hayes is also a National Geographic Society Explorer, a TED Conference Speaker and has been featured in two documentary films, Flow: For the Love of Water (2008) and Last Call at the Oasis (2012). This Biology Seminar Series event will be preceded by a panel discussion on topics related to the Wallkill River as a potential source of environmental endocrine disruptors featuring both Dr. Hayes and Dr. Luke Iwanowicz, research biologist for the U.S. Geological Survey, beginning at 6 p.m. in the same venue. More information about the Biology Department at SUNY New Paltz is available online.